Design and manufacture in accordance with GB3960. Sliding friction and wear test of plastic products and rubber products or other composite materials. The friction force, friction coefficient and wear amount of the sample in the test can also be measured. It is the necessary testing equipment for all scientific research institutes, universities and enterprise laboratories. The instrument adopts computer control can display the time, the coefficient of friction torque time curve, set test time, personnel management and other functions, with a color printer, you can edit print with test parameters, test data, test report test curve inion report. It is suitable for testing the sliding friction and wear properties of plastic products, rubber products, graphite plates or other composite materials. The friction force, friction coefficient and wear amount of the samples in the test can also be measured. The instrument combines the latest inligent circuit control system, combined with the old M-200 wear testing machine friction and function upgrade, the instrument has high control accuracy, convenient operation and other advantages, is the preferred test equipment research, quality inspection institutions, scientific research laboratory. 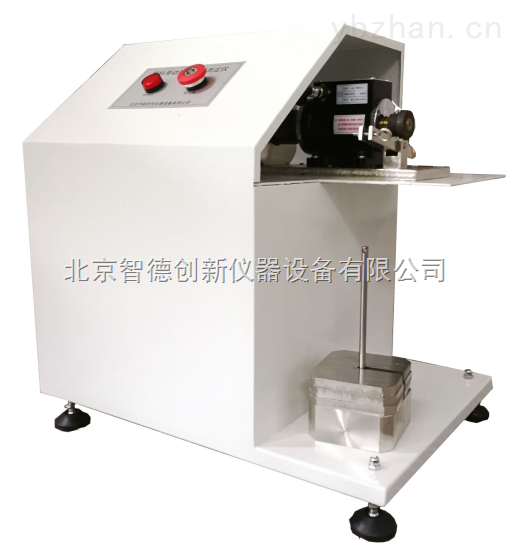 The friction and wear testing machine is mainly composed of the host and the inligent control system consists of two parts of M-200 type, operation test by microcomputer control system, in the course of the experiment, and can display the numerical torque, time curve, and can set the test number freely, display the current test data, various functions of the setting time and the test time, equipped with color printer, you can print out the test report with a curve, the form data standard. 7, weight: 4KG weight a, 1KG weight 4, weight function can be realized. 2, rotation speed: 1-200 RPM / min. Installation and commissioning: to assist the installation of test machines, responsible for the test machine transport, commissioning. Two, acceptance standard: test machine according to order Technical Annex for acceptance. The final acceptance is carried out by the purchaser, and the test sample provided by the user is provided and the test report is provided. Three, training: installation and commissioning at the same time, the instrument operation on-site one-time free training 2-3, the operating personnel shall be appointed by the long-term stability of the staff training to the equipment basic principle, software use, operation, maintenance issues, understanding and application, so that the personnel can operate the equipment independently to detect samples, at the same time can carry on the basic analysis and maintenance. Four, software upgrades: free of charge to provide new version control software for life. 1, one year warranty, life-long service customer service, within one year of non-human damage free replacement parts, the warranty period the user received the invitation, the latest response time is 2 hours, with the user to confirm the fault, our company will send engineers arrived at the scene for free within 48 hours of service, identify the fault location the position and the cause of the fault as soon as possible, and timely report to the user fault and maintenance. 2, the warranty period for the damaged parts, according to the purchase (processing) price charge replacement. 3, the warranty period to continue to provide quality technical services for the users, after receiving maintenance within 3 days after inviting users to send engineers to the user site maintenance. And enjoy preferential treatment to buy spare parts. 4, the sensor overload and the whole circuit overpressure damage is not within the scope of warranty. I realize the computer management, the implementation of customer regular ephone return visit system, work regular check equipment, regular ephone guide users to maintain and test the equipment, so that the normal operation of equipment, track customer equipment usage, so that timely maintenance of equipment.